YKK AP America is debuting its sixth video—part of the “I am an Architect” series—at the AIA Conference on Architecture 2017 in Orlando this April 27. This video follows a woman on her journey to become an architect in college and through her visit to Orlando. 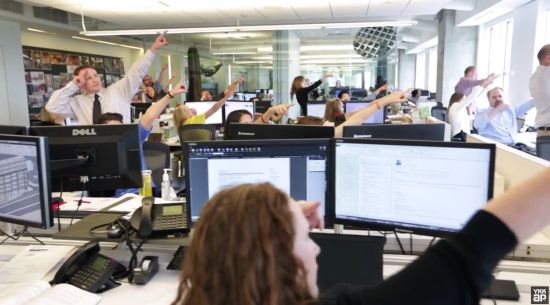 "The inspirational theme of the video," said YKK AP America in a press release, "ties into AIA's K-12 initiative to strengthen the pipeline for future architects, to enhance existing K-12 curriculum and to promote diversity and inclusion into the design curriculum." 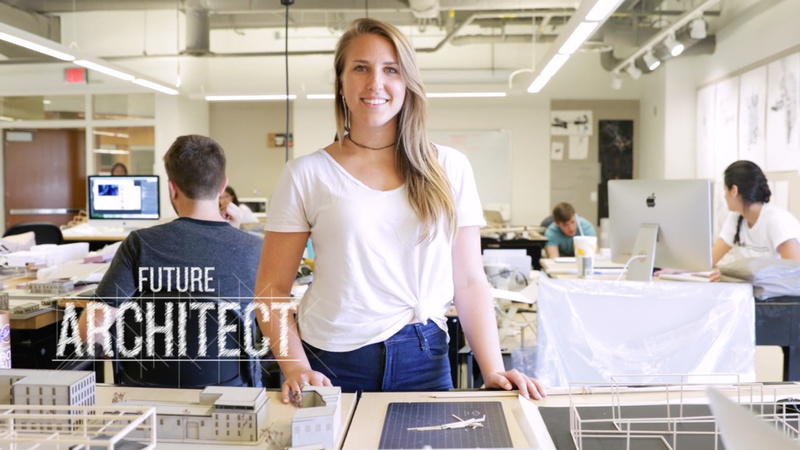 YKK AP America, which designs and manufactures aluminum fenestration systems, collaborated with University of Central Florida (UCF)’s 2+2+2 program and Orlando-based architecture firm HuntonBrady Architects to create the video. (The 2+2+2 program lets students earn an associate’s degree at Valencia Community College, a master’s degree at the University of Florida, and a bachelor’s degree at UCF.) The first 100 visitors to reach the video's premier at YKK AP’s booth at the Conference—Booth #3103, April 27, 11:00am—will get an exclusive “I am an Architect” giveaway. At the University of Maryland, the A. James Clark School of Engineering is edging closer to unveiling the new $90 million A. James Clark Hall. 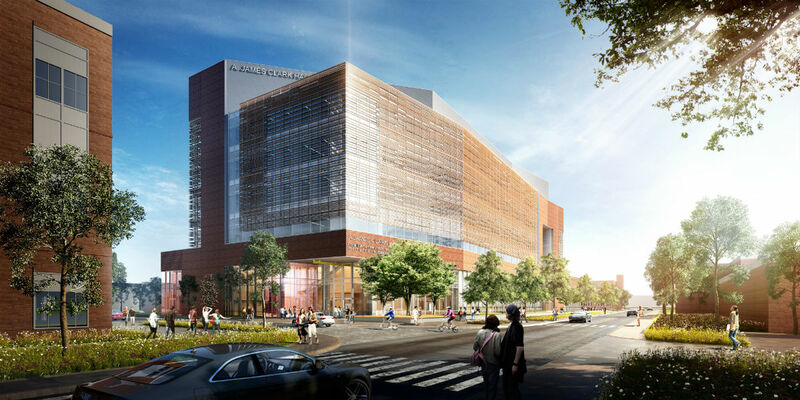 The 184,000-square-foot building will act as a hub for research and all engineering disciplines. One of its more striking features (aside from the plethora of technology due to be housed inside) is the facade that runs along Paint Branch Drive. 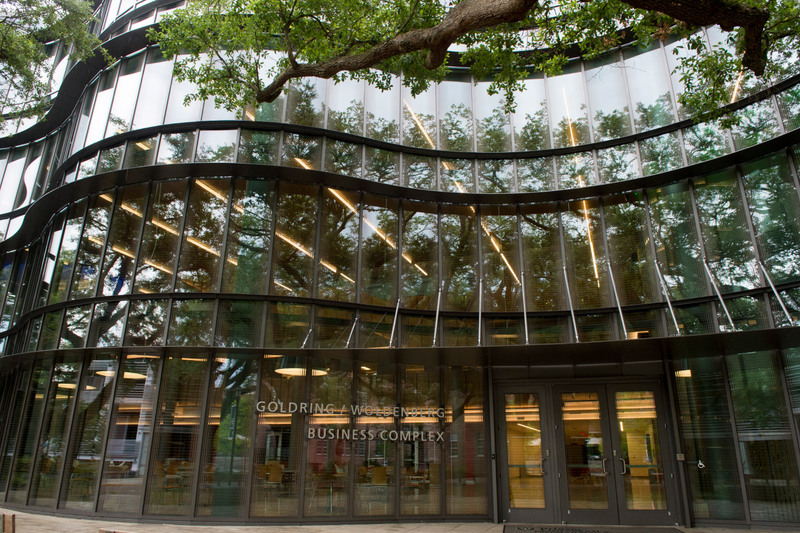 The facade provides eastward views onto the pedestrian plaza from a long-spanning multi-use classroom, known as the "flex lab." Yosuke Kikuchi, engineering center manager at YKK AP, said the firm used the YUW 750 XT Unitized Curtain Wall System integrated with its sunshade system "in order to meet the demanding project schedule." Architectural Services Manager and YKK AP Ivan Zuniga elaborated, saying how the project was originally designed as a stick built curtain wall system, but construction schedule constraints meant that using a unitized curtain wall and custom baguette sunshade system allowed them to meet deadlines. In doing so, stainless steel sunshade brackets were used, in lieu of aluminum brackets, in order to meet the high thermal performance requirements of the project. The unitized curtain wall and sunshade systems were fabricated in a shop and shipped to the job site for installation. In this Design Assist project, commercial fenestration systems supplier YKK AP worked alongside Philadelphia-based Ballinger Architects and contractors Clark Construction (general) from Maryland and Glass & Metals Inc. (glazing) from Virginia. A. James Clark Hall is scheduled to open this year and has been designed to achieve LEED Silver certification. Zuniga will be speaking at the Facades+AM conference in New York this April. There he will discuss his firm’s adaptive reuse work in further detail. Seating is limited. To register, go to am.facadesplus.com. 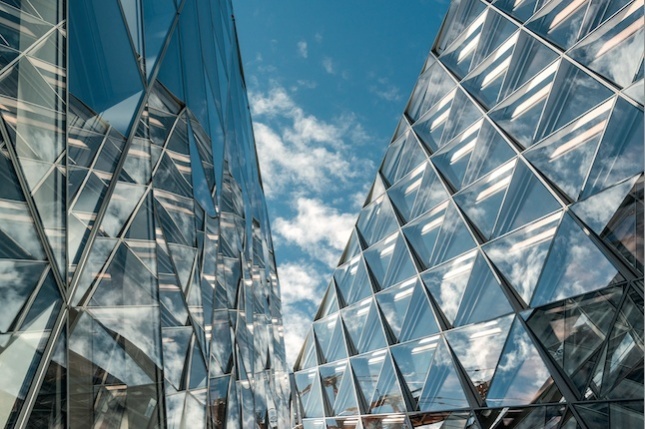 The facade's stainless steel panels form a wave pattern, cutting down on glare and heat loads while representing the contribution computing has made to design. Located between Cornell’s historic Barton Hall and Hoy Field, Gates Hall fits 100,000 square feet of program in fives stories on a site roughly 150 feet long by 80 feet wide. “It’s a fairly squat building with a large foot print,” said Brugger. “So what we wanted to do was find a way to give some break on the facade.” The metal screen forms a band that covers the second through fourth floors. The first and fifth floors are fully glazed. At the main entrance on the building’s west side there is a large cantilever covering an entry court with some indigenous plantings and sculptural precast concrete “rocks.” Here, the facade becomes an integral part the overall massing of building, breaking down proportions of footprint and creating a sense of motion, giving the sense that structure is coiled to pounce across the road. Morphosis specified a YKK YUW 750XT 4 sided SSG unitized curtain wall system outfitted with a Viracon VNE 24-63 double glazed insulated glass unit. Ithaca does have a heavy winter, and heating days predominate over cooling days for the facility. To optimize the daylight/insulation ratio, the architects intermixed fully glazed panels with insulated spandrel panels. “There’s an alternation between full glazing and spandrel panels that helped us balance the environment and meet our efficiency target,” said Brugger. 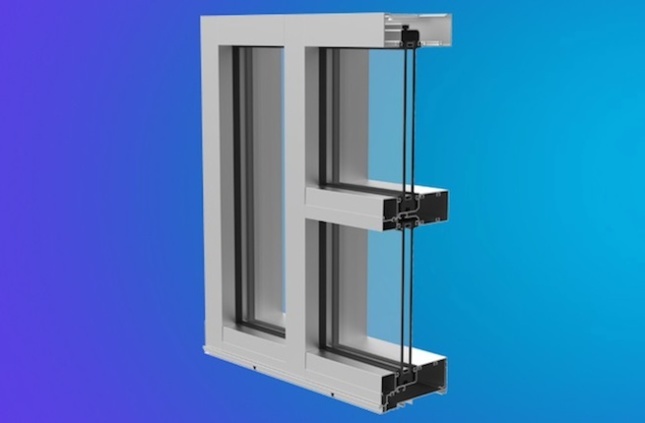 “It’s not fully glazed everywhere.” The curtain wall’s aluminum mullions are reinforced with steel, giving them the necessary stiffness to support the screen system. Morphosis designed the screen system in its own proprietary software program and used Rhino with Grasshopper to do the visualization. To coordinate fabrication of the panels with Zahner in Kansas City, the architects worked with CATIA and Digital Project. 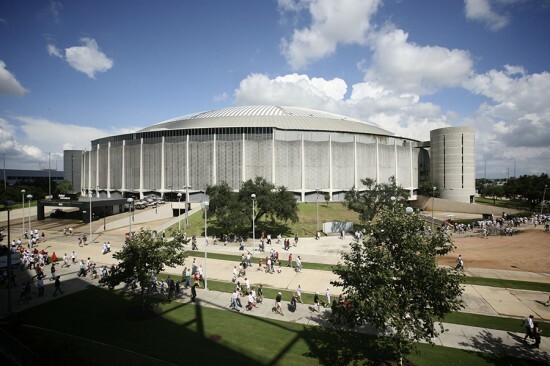 Zahner fabricated the screen panels out of 316 stainless steel. There are 457 panels total, in 13 different types, that bolt back to the vertical mullions at one of three elevations. The perforated panels have an angel hair finish. 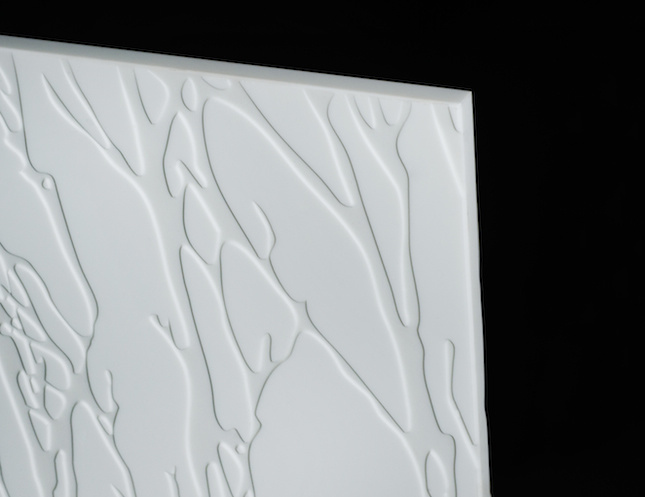 “It’s a non-directional finish takes away most of the gloss of stainless steel and gives it a little more depth in reflectivity, kind of a clean, matte finish,” said Brugger. “It still has a certain luster and gloss, but it cuts down on glare.” W&W Glass installed the facade, first putting up the YKK curtain wall and then erecting the screen system in a second pass. “We couldn’t unitize the two systems because they’re quite large and differently sized,” said Brugger. 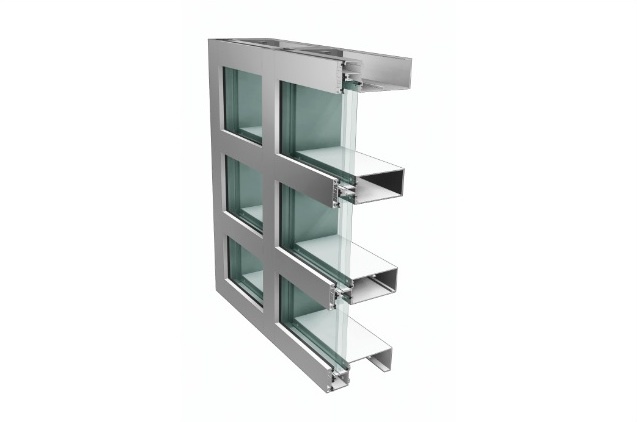 “Each stainless panel takes up two curtain wall modules.” The curtain wall modules are 5 feet 9 inches wide, whereas the stainless panels are 10 to 12 feet wide. The panels are set at different angles across the facade depending on solar orientation, with those on the south face at the most obtuse angle to create the deepest ledge for shading. This variation around the building envelope creates visual interest and expresses the computational nature of the design. As all architects—particularly those of the belly bar and T-square generations—will agree, technology should be a design tool, not an end to itself. Building product manufacturers are among those on board with this point of view, and are developing apps that help users visualize possibilities, rather than dictate pro forma solutions. Like digital design consultants, these programs supply specific expertise, and leave the creative control in the architect's hands. Here's a few noteworthy examples. Board Morpholio This digital mood board allows electronic design concepts to be populated with real-life architectural and interiors products from such sources as 3form, Herman Miller, Knoll, and more. SketchUp Pro 2015 Trimble This popular software is now offered in a 64-bit version for Windows and Mac users, with IFC import capabilities allowing back-and-forth sharing of IFC files with any other application. Glass Visualizer Guardian Glass A web-based tool that can be accessed from desktop computer or mobile device, it allows architects to visualize standard SunGuard glass make-ups or custom make-ups. 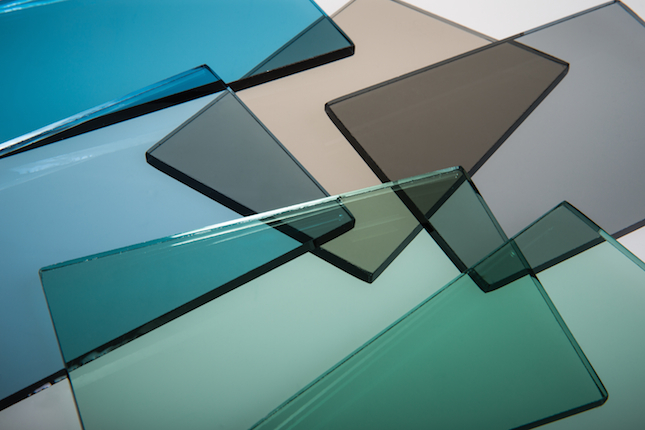 Choose the glass, select the appropriate building type, and see what the glass will look like under varying sky conditions. 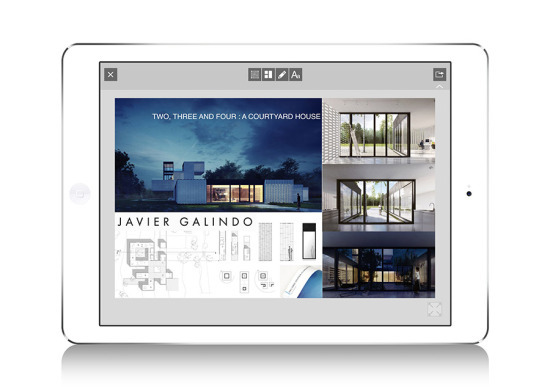 YouCreate 3form Working with seven material platforms and thousands of color combinations, this proprietary tool allows users to select an interlayer, play with color, and refine the translucency of the manufacturer's panels. ImageWall Zahner Using ImageWall, designers upload an image and it instantly translates into a panelized array of holes with varying sizes. In addition to uploading images, users can also drag-and-drop attractor points to control perforations by hand. Users see the price update continuously while making adjustments to their design. Transparent pricing means that designers can quickly test ideas within a budget, use their design to approach clients, and bring their projects to fruition. Light-a-Home OSRAM An interative, room-by-room comparison of existing and proposed lamping schemes, this software also provides rates of power consumption, CO2 emissions, and costs. Paving Calculator Unilock Once basic information such as product, layout pattern, area, and other details are plugged in, the calculator quickly and accurately provides recommended quantities for joint sand or compound and base and bedding materials. My Thermal Assistant YKK AP This interactive application uses independent laboratory test results to calculate overall system thermal performance using a specific YKK AP product and glass package. It can also work inversely: Input target thermal data, and the program will generate YKK AP material solutions. As a part of YKK AP's "I Am An Architect" series, architectural instigators Brady and Mosby visited the AIA National Convention in Chicago this year to have some fun with their newest release: the Do The Architect dance. Now the video evidence is in. Above it a compilation of attendees having some fun at the convention. You asked, and we extended the Early Bird Special Registration pricing for the Chicago edition of the Facades+ PERFORMANCE conference an extra five days! But act fast, as the discount ends today at midnight for good. Discover the latest high performance building technologies that are revolutionizing the next generation of facades at Facades+ PERFORMANCE! Join AN and Enclos as we present the latest installment of our groundbreaking conference series October 24th-25th at the Mies van der Rohe designed Illinois Institute of Technology campus in Chicago. Be there as leading innovators from across the AEC industries gather to share the cutting-edge strategies and technologies that are redefining performance. Expand your career with our exciting series of symposia, panels, and workshops, and work side-by-side with the industry’s leading professionals. Register before midnight tonight to catch our Early Bird special and save on this incredible opportunity. Space is limited, so act fast! Join our Materials Panel on day one of the conference to learn how to apply the hottest breakthrough materials technologies to your next project. 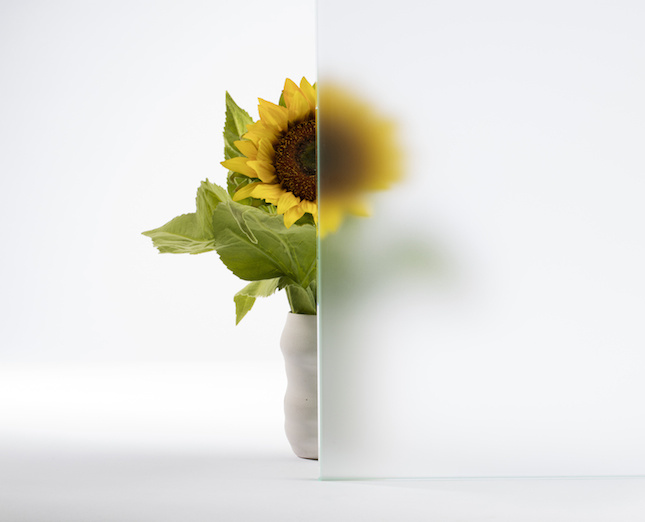 For a preview of the discussion to come, check out this exciting white paper provided by Facades Plus panelist and VP of Sage Glass, Dr. Helen Sanders, in which she explains the cutting-edge technologies and sustainable applications of dynamic electrochromatic glazing. With representatives from SOM, GKD Metal Fabrics, and YKK-AP, this panel is not to be missed. Head over to the full Facades+ PERFORMANCE site to view our highly anticipated roster of presenters and explore the thrilling schedule of workshops, panels and symposia. See you in Chicago! Launched in 2012 in collaboration by The Architect’s Newspaper and Enclos, the Facades+ conference series is heading back to Chicago for two days of architecture symposium and workshops with a brand new theme: Performance. On October 24th and 25th, keynote speakers Stefan Behnisch of Behnisch Architekten and Gerardo Salinas of Rojkind Arquitectos, as well as a host of recognized architects, innovators, and engineers will engage attendees on the subject of facade design within the last five years, specifically sustainable, yet aesthetically pleasing construction. Day one hosts a symposium of panel speakers and networking opportunities. And during day two, attendees make the choice between tech or dialog workshops, both intimate groups with hands-on training and personal discourse. Registration is now open for both days and early bird rates apply until September 27th. Partnering with YKK AP, Facades+PERFORMANCE in Chicago offers dialogues, workshops, and opportunities for networking for professional architects and designers The conference addresses an increasingly current issue within an era of climate change and environmental responsibility. Day one of the symposium will offer two keynote addresses and a variety of environmentally-themed architectural panels. Presenters in attendance represent YKK AP, Buro Happold, Thorton Tomasetti, Eckersley O'Callaghan, Studio NYL, among others. Students can earn eight AIA Continuing Education Units for attending this day's events. In keeping with the theme of Performance, panel topics include: Innovation, Climate Responsive Design, Material, Complex Façades, and Client Perspective. On the schedule for day two are intimate group workshops, either tech or dialogue based. 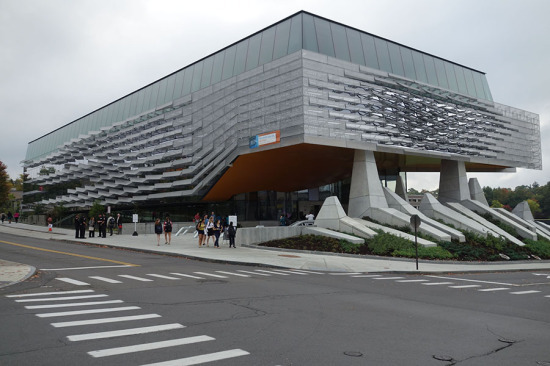 In tech workshops, design engineers from firms like Mode Lab, Thornton Tomasetti, and CASE provide one-on-one training in cutting-edge architectural facade design technologies. In dialog workshops, participants set their own daylong schedule to attend creative-thinking sessions where architectural and engineering firms present their own work as case-studies. Coordinators for these workshops include Gehry Technologies, Enclos, SHoP, Cricursa, and more. 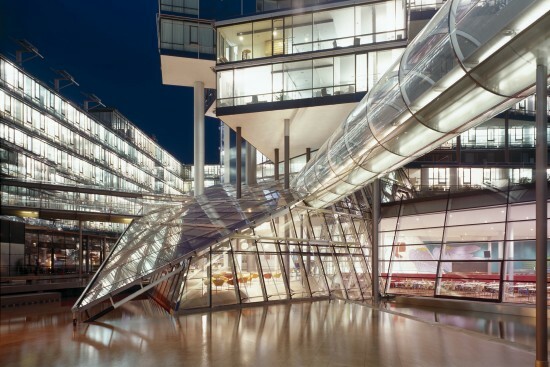 Comprehensive, interactive, and present, Facades+PERFORMANCE is a symposium not to be missed. Register here before September 27th for early bird rates.